TanjaWhatsername: New KIKO Limited Edition in stores now! 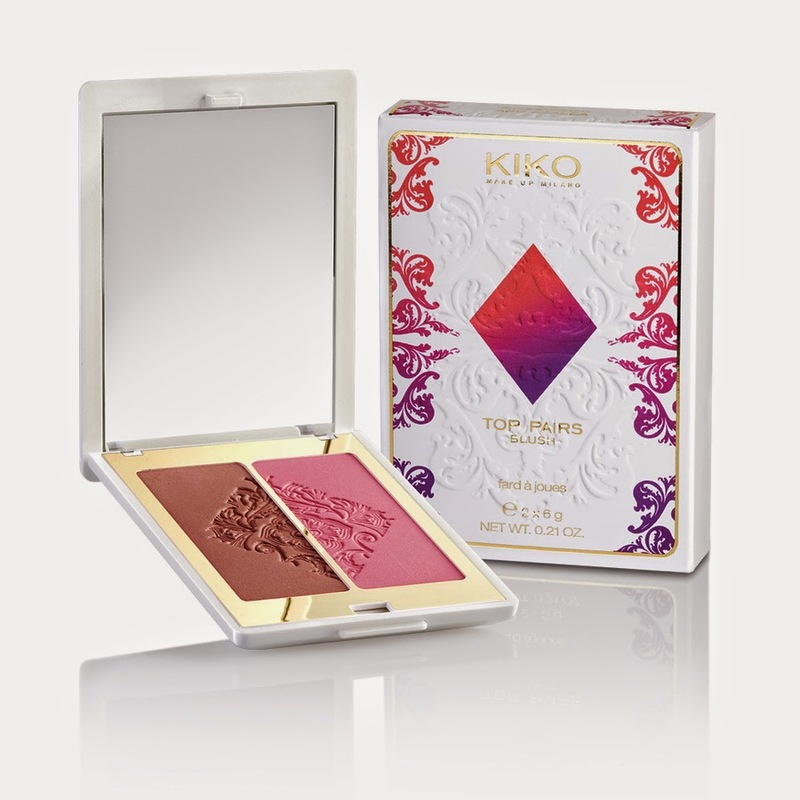 KIKO Top Pairs Blush (14,90€): A blusher duo that comes in three different colour combinations (the others are more peach-toned! ), also living in a similarly gorgeous compact than the bronzer/higlighter duo. 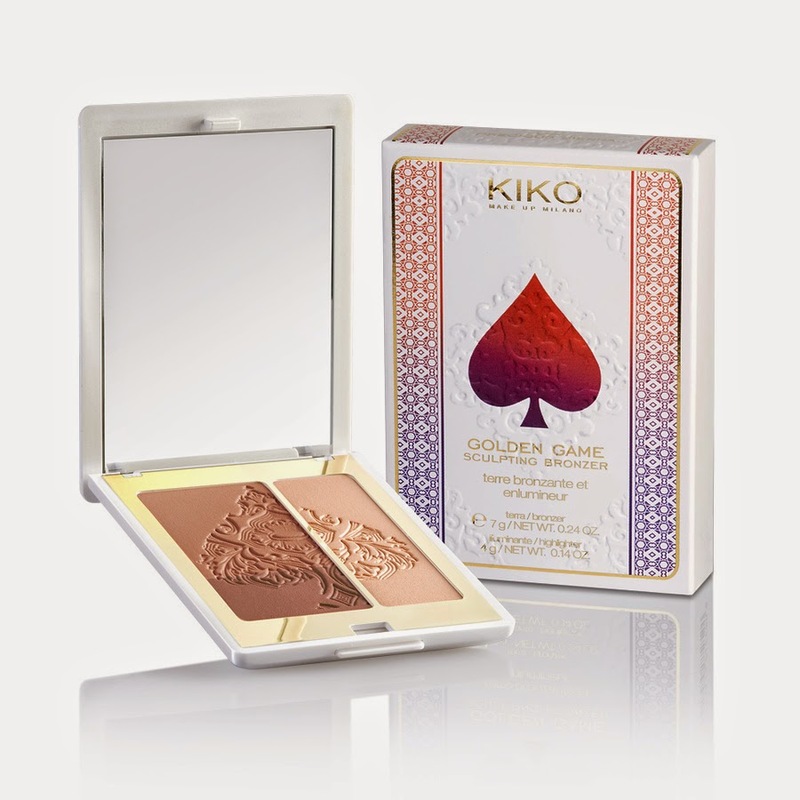 KIKO Queen of Hearts Eyeshadow Palette (14,90€): A four pan eyeshadow palette in three different colour combos- browns, greens and taupe shades. In my own experience, KIKO eyeshadow are very pigmentend and great value for the money, so I'll definitely have a look at these palettes! 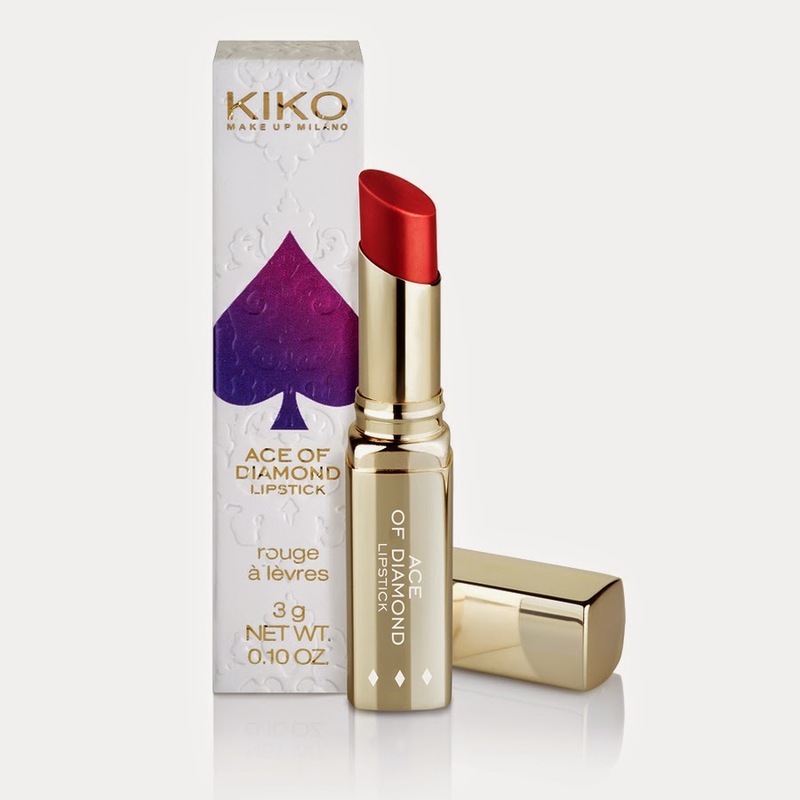 KIKO Ace of Diamond Lipstick (7,90€): A semi-matte lipstick that comes in 6 different shades. The packaging of these looks so sleek and fancy- should I like a colour or two when I get to swatch them, I'll definitely consider buying these as well! The whole limited editions features a lot more products- nail polishes, lip liners, a brush and a few more, check out the KIKO Cosmetics website for details as well as colour options for the compacts!